Just before Christmas we harvested our first ever crop from the orchard. If you follow me on Facebook (and if not, why not??) you may have seen some pictures of the cherries from our sour cherry trees. Now admittedly, it will be several years before we are over run with sour cherries, but the first harvest is worth celebrating. We ended up with about 3 litres of cherries (yes I know that is a funny way to measure them). Of course, I was then stuck with the conundrum of what to make with the cherries. With Christmas coming up, I wanted to use them too, so I made some sour cherry preserve to go with our Christmas ham. Of course, I was so busy enjoying our meal, that I forgot to take some photos of the preserve. 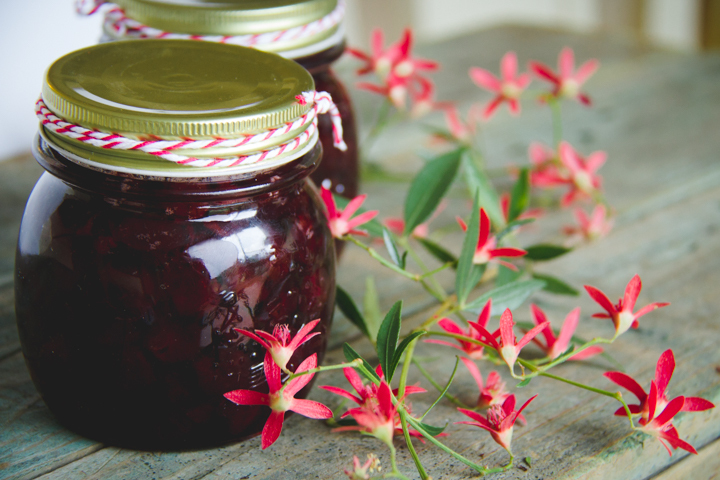 This preserve is similar to cranberry sauce, but with a distinct cherry taste, It goes beautifully with ham and chicken. I think it would go well with duck too. It cuts through the richness with it’s sour yet sweet flavour. It doesn’t take long to make once you have stoned your cherries. 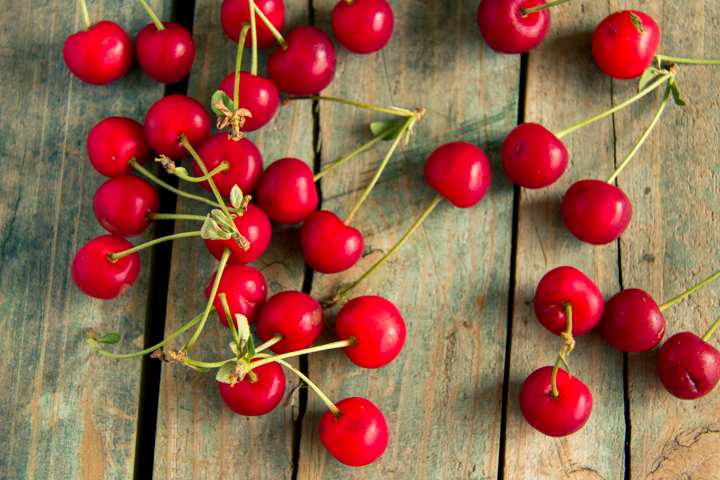 Ask your greengrocer to get you some sour cherries if you can’t get your hands on some by the side of the road. 850g of stoned sour cherries - you could halve them if you like. Place all ingredients in a saucepan and slowly bring to the boil. Boil for approximately 30 minutes or until the syrup is thick and syrupy when dropped onto a cold plate. This will always be syrupy. 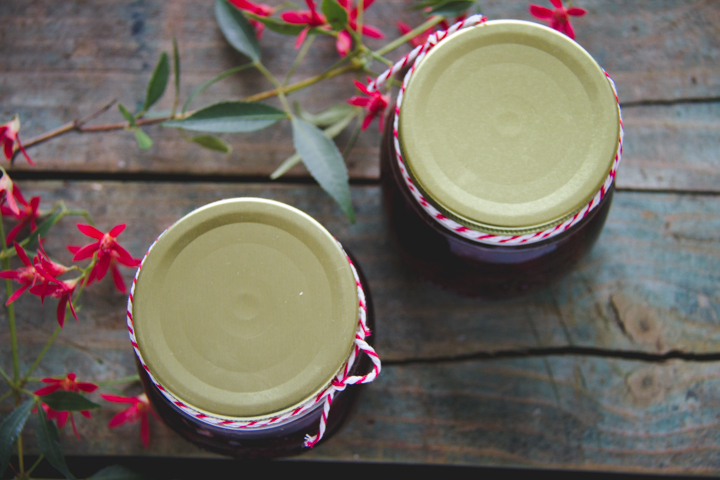 If you want the preserve to gel like jam, you could add some jam setter (pectin). 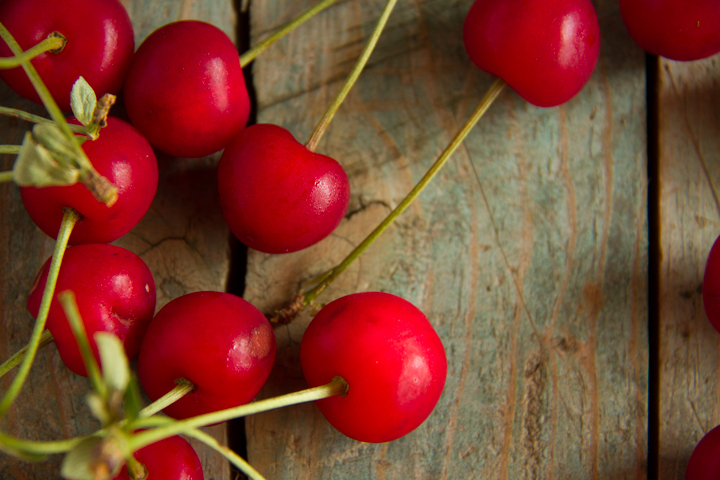 The cherries do not contain enough pectin to gel themselves. I personally like it syrupy. Pour into sterilised jars and seal while still hot. Serve with ham, chicken, turkey, or duck. What did you have for Christmas dinner? Have you made anything with sour cherries before? Share your recipes please?